In large bowl, gently toss lettuce, chicken, tomatoes, cheese and bacon. Divide among 4 salad plates. Gently press 1 olive slice in middle of each egg half to look like an eyeball. 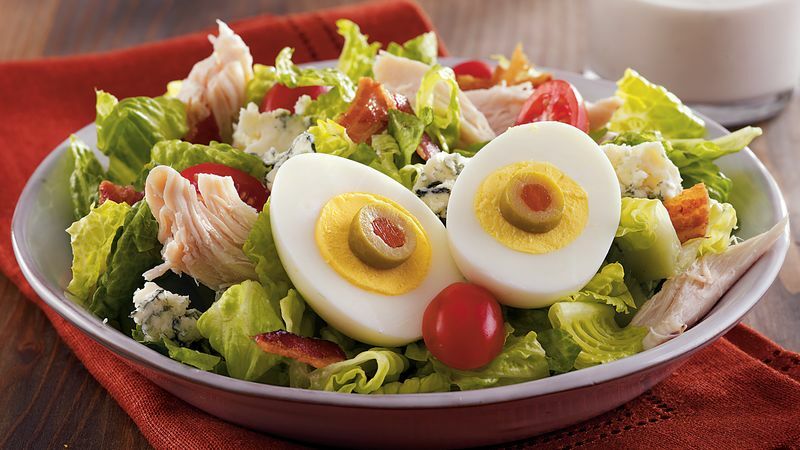 Place 2 egg halves on each salad. In small bowl, place all dressing ingredients. Stir with wire whisk until smooth. Drizzle evenly over salad. Chop the remaining avocado half and sprinkle it over the salad, if desired.